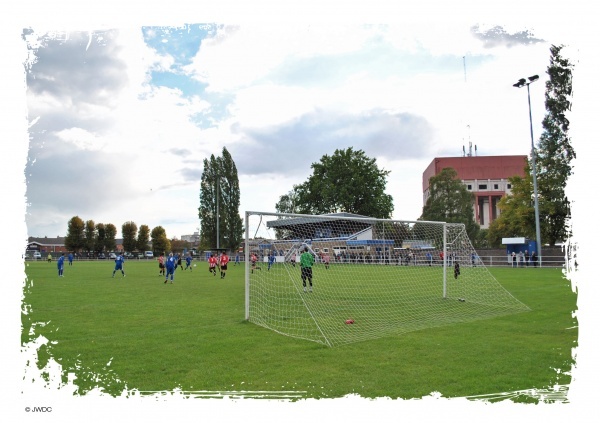 The Sir Halley Stewart Field, home to Spalding United FC, is situated close to the town centre in Spalding, right opposite the Spalding Bus Station (off Winfrey Avenue) and within easy access of the local Railway Station (off King's Road). Access to the ground is via the main entrance & turnstiles on Winfrey Avenue. Parking is available within easy walking distance of the stadium with some Pay & Display facilities located directly opposite the ground; there is also some limited free parking within a few minutes walk of the ground, but please note that this free parking is limited to three hours during peak times. You can view a map of the ground's location within Spalding by clicking this link.